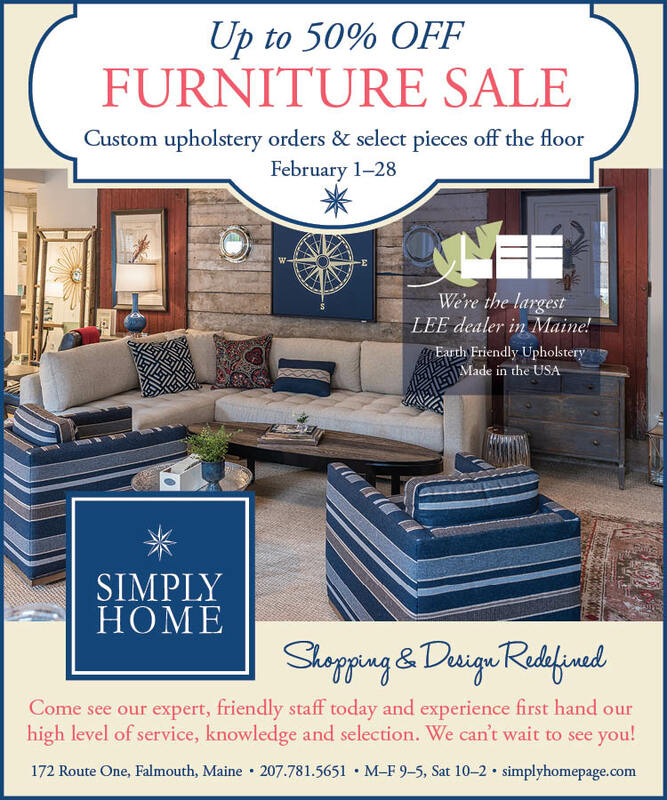 Stop in February 1-28th for up to 50% off custom upholstery orders and select pieces off the floor. Come see our expert, friendly staff today and experience first hand our high level of service, knowledge and selection. We can't wait to see you! 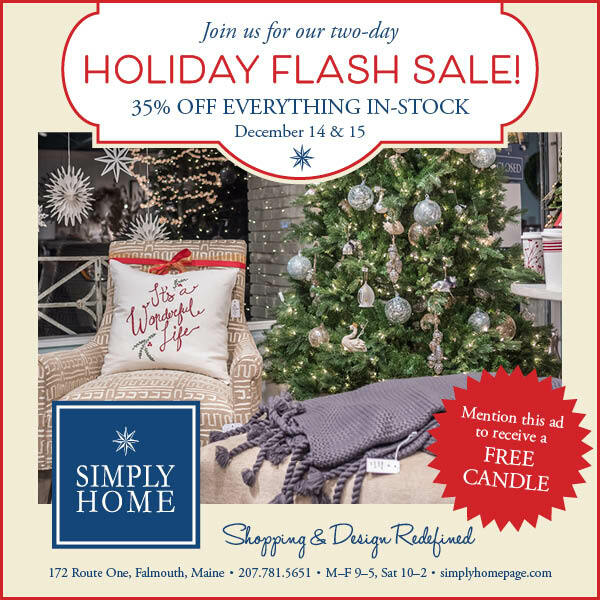 Stop in for our two-day holiday sale—everything in stock is 35% off! 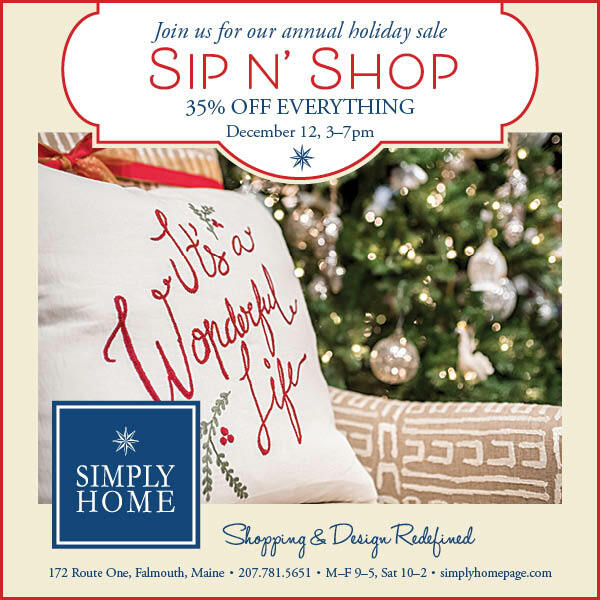 Join us for our annual holiday Sip n’ Shop event! Sip on a glass of wine and shop the store for 35% off everything. 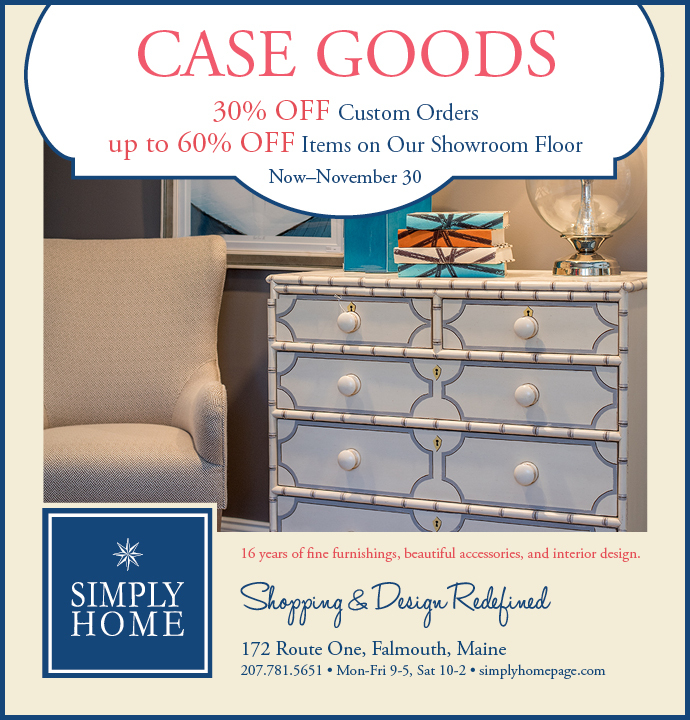 Stop by our showroom at 172 Route One in Falmouth—our friendly expert staff are here to help you! Take delivery and sit back & relax! 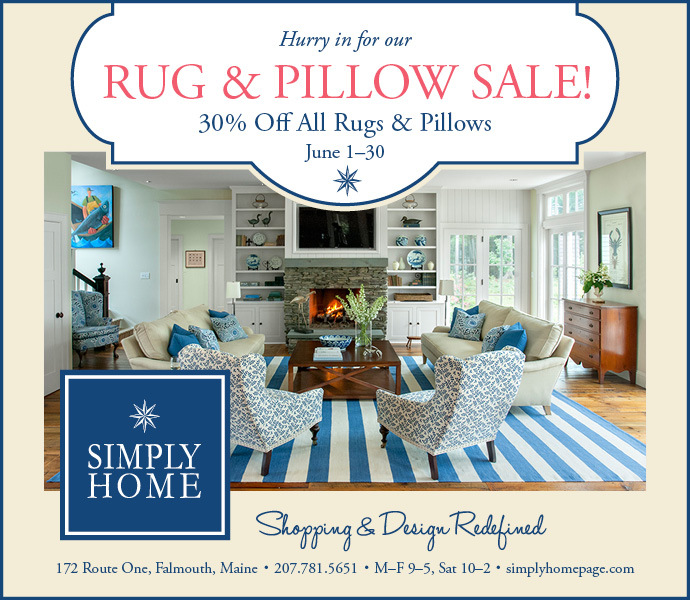 17TH ANNUAL 3–DAY SPRING SALE! 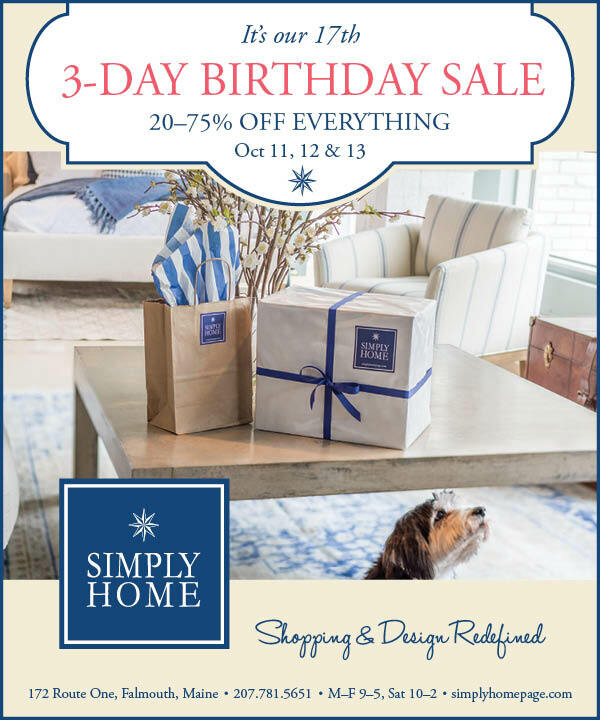 Fabric, pillows, wall decor, and accessories. 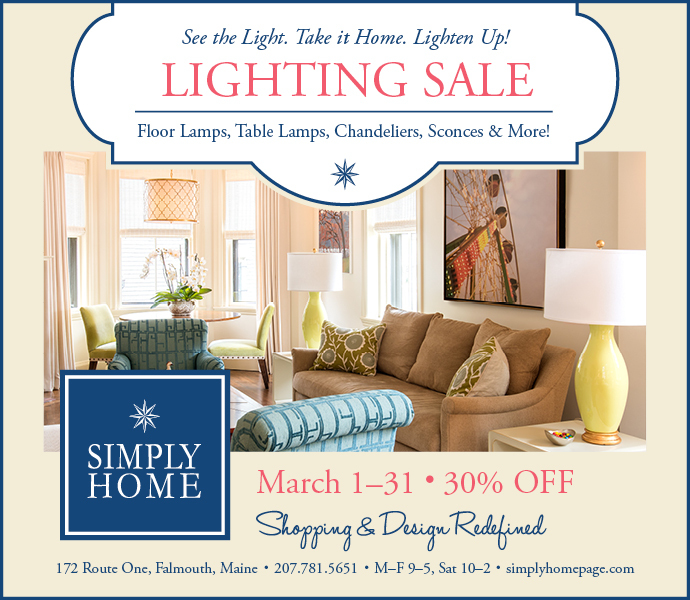 Floor lamps, table lamps, chandeliers, sconces, and more! 1. 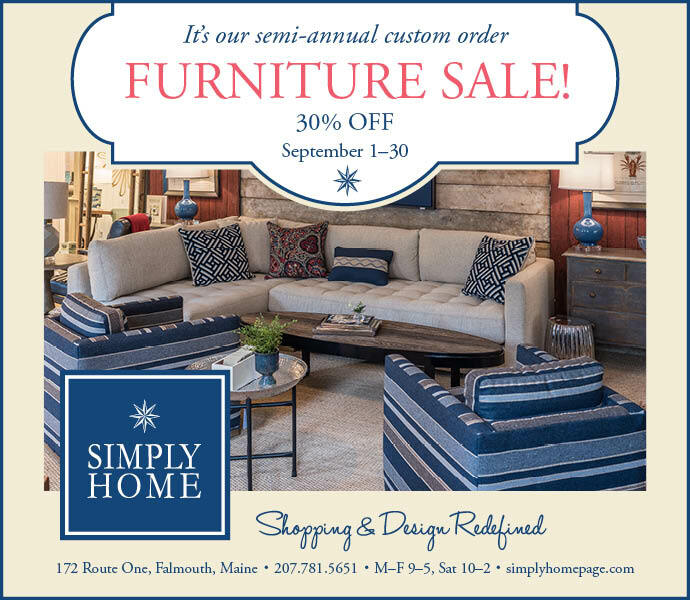 Stop by Our Showroom - Our friendly expert staff are here to help you! 5. Take delivery and Sit Back & Relax! 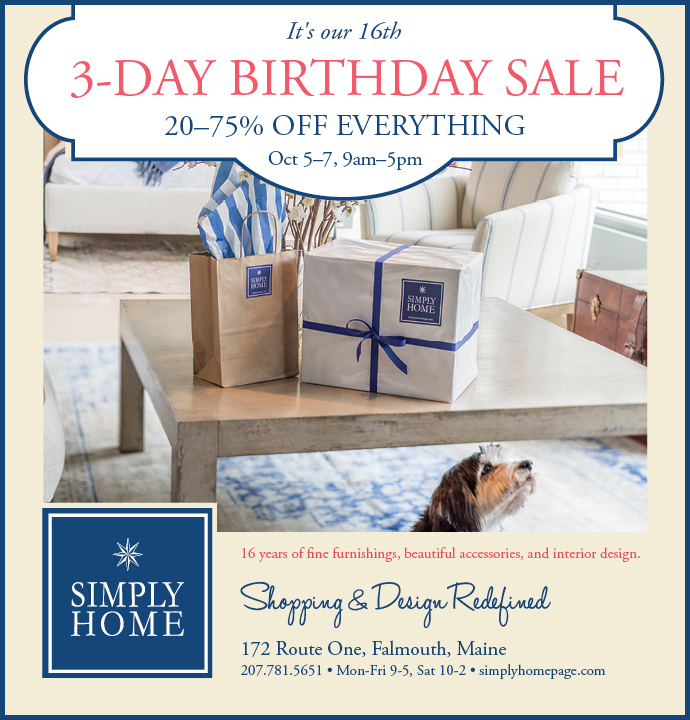 16 years of fine furnishings, beautiful accessories, and interior design. 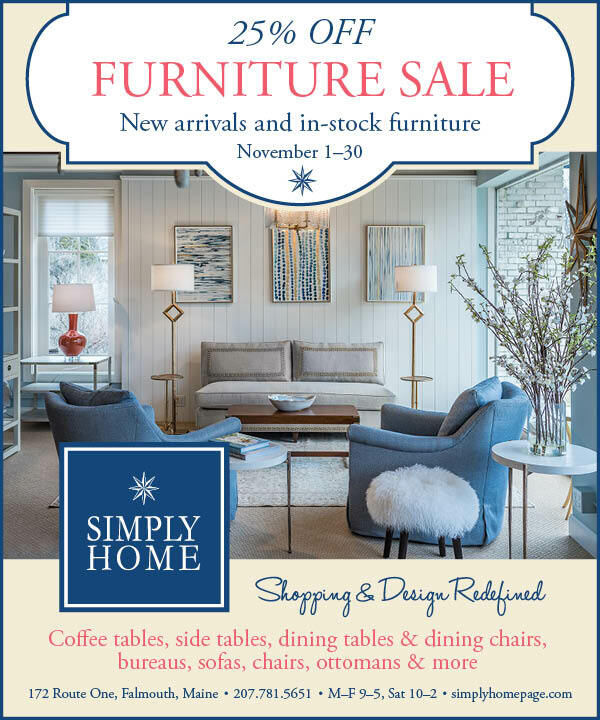 Chests, coffee tables, side tables, dining tables, dining chairs, book cases, nightstands, stools & more! 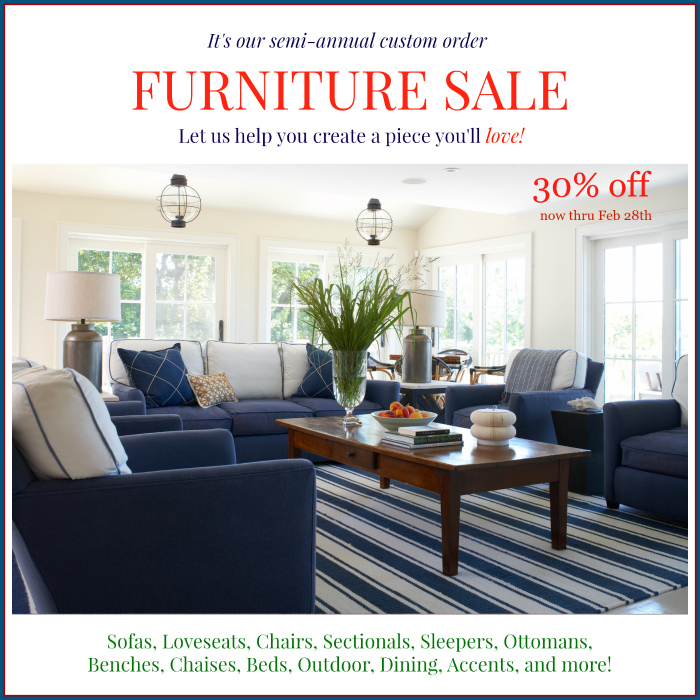 Sofas, loveseats, chairs, sectionals, sleepers, ottomans, benches, chaises, beds, outdoor dining, accents & more!